Coffee, as known to all of us is a brewed beverage with a bitter, acidic flavor prepared from the roasted seeds of the coffee plant. It is the second most rated commodity on earth, it plays a crucial role in many societies. For many a people Coffee is the best thing to douse the sunrise with, it’s a drink that acts as an alternative to tea or soda pop. For others its is necessary for survival to help them stay awake during long meetings and for some coffee is an art that requires much planning and high efforts to maintain its best quality. So coffee must travel through a complicated process before it reaches one's cup. And you know it, the fragrance of coffee is strong enough in the air to make you go crazy for it. Coffee can be a wonderful thing to a teenager. 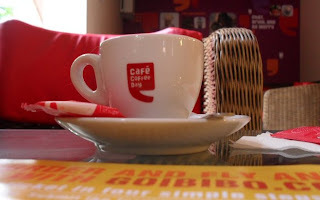 For teenagers coffee houses are of relaxing atmospheres, social homes with friends and a cup loaded with lots of coffee, but it has more to serve as a beverage along with cookies and biscuits. If your morning routine includes a cup or two of coffee, you may know a few things about it. It's a stimulant drink, caffeine improves mental performance, improves reaction time and attention span, it speeds up heart rate making it work hard. Coffee also contains minerals such as magnesium and chromium, which help the body use the hormone insulin, which controls the blood sugar (Glucose). So enjoy your coffee guys!